"I wanna start blogging with something funny...something...that is indeed...'Politically Correct' "! I started blogging with this amateurish, grammatically iffy and an ellipses laden line on February 15, 2009. The article was a satirical take on an engineer's dilemma on assignments, and was also published in a college newspaper. An interesting anecdote about this post is that it got that college newspaper, that I also moderated at the time, shut down! The management specifically quoted this post, while telling us how unhappy they were at the jokes and the satires against them and the system, being published. Quite an entry to the writing world, wouldn't you agree? I, unlike many others that I have met, can pinpoint, exactly why I became a blogger. In the aftermath of the 26/11 attacks and the public apathy that followed, I just had to write. I was young, frustrated and informed. That's a lethal combo. My first blog Politically Incorrect, was opinionated, fearless and quite true to its name. When I wrote "This Time I Will Remember", about the attacks, I got my first feeling of catharsis, through words. I had finally found an outlet to express my emotions. Those were easier times in blogging . Yes, really easy times. No one cared about SEOs, keywords, sharing across social networking platforms etc. Everything was, literally, just word of mouth. In October 2009, I launched Me and My Darkside. I haven't sat peacefully since then. And I love it! I am not a dark person as my posts might suggest. Even though the first poem I ever wrote, was about my own death! But I do have a very simple philosophy while writing. I try to imagine myself outside of a scenario and then write from a detached point of view. Perspective is important in my genre. Nothing is absolute and hence, I should be able to tell a story from every standpoint. That's why there's always a story in front of me and I just need to pinpoint the voice, I want to narrate it in. 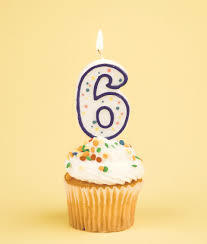 6 years is a long time. I have grown into a different individual than the one who started blogging. Yet, writing is an aspect of my life that has remained, a constant. I have been very fortunate to have found a very supportive, and if I may say, a very loyal reader base. I have never met them, and I probably never will, but I feel, I can count on them. Some of them are fellow bloggers who are virtual celebrities. But we all come together as a community and that's the part I love the most. If I ever needed an online campaign for a significant cause, (not for votes in a contest mind you) I know who to DM! A few of them very graciously accepted my invitation to say a few words about me and my writing. 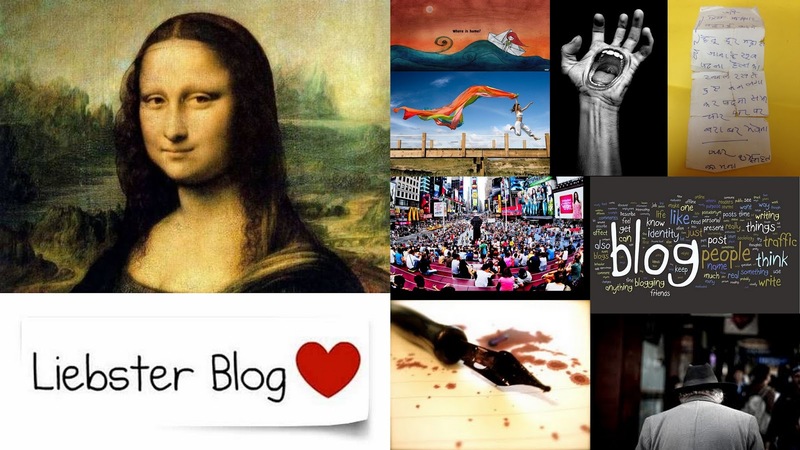 "I am a reader of your blog since I started blogging. Your posts are honest and straight from heart. I have always admired the underlying note in your posts. There are few posts which left an indelible impression - poem that was featured on a radio show and the post for which he won a contest, about your grandma's letter. What I don't like - you don't post regularly. Prateek - Write more and write often :)"
"My first recollection of Prateek is his comment chastising me for a story I'd written about a woman who seeks revenge from her abusive husband. But that's Prateek Mathur for you, there's nothing that he doesn't take seriously. His unflinching honesty reflects in his writing, whether it's a heart-wrenching account of a two year old battered girl fighting for her life [Let Me Go] or the 'TheMisfit' - a harsh commentary on our society or 'Memento' - a touching dedication to the special bond he shared with his grandmom. On the sixth anniversary of Me and My Dark Side, I wish Prateek many more years of blogging, viral posts that are as hotly discussed as the AIB roast and bestselling books where he'll thank me for my unwavering support in the prologue. " "Mathur is a gifted writer. He has very good command over language and a better one on emotions. I am particularly fond of his short stories. Because they are full of very strong emotions and most of the times they make me feel as if Mathur has felt all that first hand. His stories never feel like a work of imagination , they are so real." My Birthday Cake should be big - my blog told me ! "I was never a blog reader until, after college, when you forced me ( yeah you did ) to read your blog. I just read it as a friend. But the next time I read your new article, I read it because I wanted to. Your blogs were fresh and I could very much relate to it; They were lively, in fact, are lively. It's just, so, me! Your blog : There Is Something About Mary(s) is my favorite because , like all, I have a Mary too :). Keep writing; It keeps a person like me lively and helps me to think emotionally or gives life to my emotional side ! Cheers!" Prateek Mathur’s has always been a very dear friend and is part of the gang. Being so close to him, I frankly never thought he could right so well. But he has proved me wrong with each and every post of his and I am very pleased with that. You have thoughts but how well you organize them when you pen them down is an art. Prateek knows that art very well. His articles prove that he is a keen observer. I loved many of his posts. On his 6th Anniversary of blogging, i could only wish for him to write more and more. Keep them coming buddy, we want to read more. is the biggest recognition of all. Believe me, nothing can top that. I hope nothing ever betters that quiet sense of achievement, even pride, when someone leaves a positive comment or that slight sense of relief when the blogcounter shows one higher number than the last time I checked it ! These are small victories of blogging that have kept me active in the game for 6 years. Here's to blogging ! Cheers ! It is such a travesty that I haven't really read your blog except for a stray post or two. Hopefully, that would be rectified from now on. Heartiest wishes and may you see greater heights! Thanks Heena ! Hope we can follow each other from now on. Thanks so much for the kind words ! Just read your 3 posts one after the other; Really good ! Enjoyed reading this post of yours. Thanks Swati . Glad you liked it ! That article and College newspaper is news to me. Even in the poem - yarro ka year, that's a positive end in its own way. Many many congratulations on the milestone. It's very interesting to know what goes into your writing. I don't think this much, I write what I feel. I think I should try your way at least once. Good to know about your Journey so far...I am sure this is just the beginning, Prateek. I am very fussy about writing well and consider English as my strongest point (over say Mathematics), and i can say you write pretty well. I think the best thing about blogging is the connections you make and the lovely people you meet.